"As a scholar and social-community psychologist, my job is to figure out what creates healthy, strong, vibrant communities, and to share research findings in an attempt to influence public policy," says Psychology Professor Regina Langhout, lead author of the policy statement. "We can be a barometer of this, because we know the research." 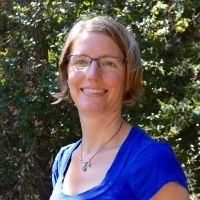 "This policy brief is a thorough examination of the research," said Regina Langhout, professor of psychology at the University of California, Santa Cruz, and lead author of the brief; the policy statement will appear in the upcoming edition of the American Journal of Community Psychology, which is available online now. "U.S. immigration and deportation policies have negative effects for everybody—not just in immigrant communities, but for everybody," said Langhout. "When families are torn apart without their consent, it has very negative outcomes for everyone." Changes to U.S. immigration policy over the last 30 years have resulted in a massive increase in deportations—and a marked shift away from post-World War II-era policies that focused on family reunification, the authors found. From 1900 to 1990, approximately 20,000 people were deported each year. In the mid-1990s, the rate increased by 800 percent to 180,000 a year—and has since more than doubled to 340,000 deportations in 2017. "As a scholar and social-community psychologist, my job is to figure out what creates healthy, strong, vibrant communities, and to share research findings in an attempt to influence public policy," said Langhout. "We can be a barometer of this, because we know the research." Langhout's coauthors on the "Statement on the Effects of Deportation and Forced Separation on Immigrants, their Families, and Communities," are Sara L. Buckingham, University of Alaska at Anchorage; Ashmeet Kaur Oberoi, University of Miami; Noé Rubén Chávez, City of Hope Medical Center; Dana Rusch, University of Illinois at Chicago; Francesca Esposito, Instituto Superior de Psicologia Aplicada—Instituto Universitário, and Yolanda Suarez-Balcazar, University of Illinois at Chicago.